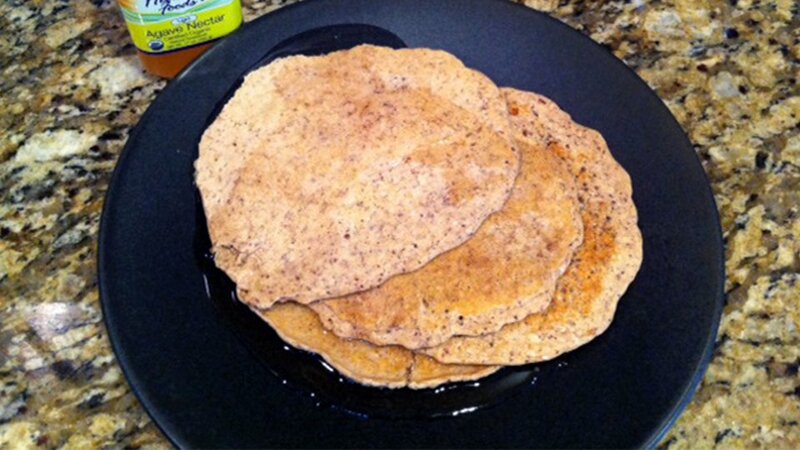 A great protein pancake recipe to start the day. Heat skillet using non-stick spray. Drizzle with Agave (in place of syrup).